“Current wine bottle designs date to the early 1800s and haven’t changed much since. 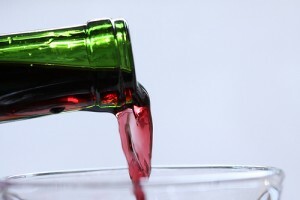 About 200 years of drips, drabs, stains and spots may be coming to an end” because a Brandeis University biophysicist has developed a drip-free wine bottle. Food & Wine’s 2017 Sommeliers of the Year select their favorite wines. Isaac James Baker hit the trails—including wine trails—in Arizona, and discovered that a combination of elevation, climate, soil and a long wine history makes the area an exciting wine destination for the adventurous. The Alcohol Professor’s Christine Campbell talks terroir with terroir expert Pedro Parra. In Wine Enthusiast, Michael Schachner looks at how Chile’s recent wildfires have impacted local wineries and vineyards. In Palate Press, W. Blake Gray dives into Brunello and now feels like he finally understands it. In the New York Times, Jennifer Senior reviews Bianca Bosker’s book, Cork Dork.